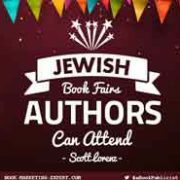 If you are a Jewish author or specialize in writing about Jewish issues, you should consider visiting book fairs in the Jewish community. Book fairs are excellent places for authors to interact with the public as well as network with book industry leaders, publicists and book editors. Book festivals and fairs are held year round all over the United States. As a book marketing specialist, I’ve see too often authors focusing on websites, Facebook, Twitter and Pinterest to the exclusion of good old fashioned face to face sales. While social media can be very effective when used properly, authors should never overlook opportunities to meet the reading public face-to-face. 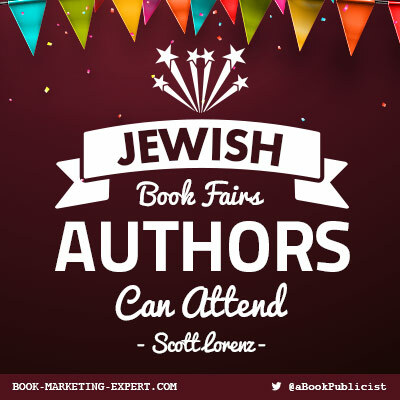 Here’s a list of 17 Jewish Book Fairs and Festivals for 2015. Keep in mind that links change all the time and festivals come and go. Some links are for the previous year because that’s all that was available at the time of this writing. Shalom Austin’s Austin Jewish Book Fair will be finalizing their schedule in late July/ early August. Check out http://shalomaustin.org/bookfair for further information or contact Crystal Connelley at 512-735-8098. JCC Charleston will have their finalized list for the Charleston Jewish Bookfest in late July. For more information please visit http://charlestonjcc.org/cultural-arts/charleston-jewish-bookfest/ or call 843-571-6565. Weinstein JCC will host the Fife-Davis Family Annual Jewish Book Fair & Gift Shop in November 2015. For more information please visit http://www.weinsteinjcc.org/cultural-arts/book-fair/ or contact Erin Mahone at 804-545-8644. Columbus JCC is finalizing the fantastic 2015 line up for JCC Bookfair 2015! For more information about sponsorship contact Bookfair Director Debbie Vinocur at dvinocur@columbusjcc.org or 614-559-6214. Check http://columbusjcc.org/programs/cultural-arts/jewish-bookfair/ for updates as they become available. Evelyn Rubenstein Jewish Community Center in Houston, TX will be holding their 40th Annual Jewish Book & Arts Fair and will begin in November 2015. For a calendar of events and complete brochure, visit http://www.erjcchouston.org/index.php?src=gendocs&ref=BookAndArtsFair&category=Arts or contact The Evelyn Rubenstein JCC at 713-729-3200. Marcus JCC Atlanta’s Book Festival will be November 5-22, 2015. For 23 successful years, the Book Festival of the MJCCA has offered a fifteen-day literary extravaganza featuring an exciting lineup of the year’s most exceptional authors, speakers, and celebrities. Join thousands of your fellow book lovers to listen, meet, and interact with your favorite authors in a variety of forums, including author meet-and-greets, book signings, a community read, and panel discussions. Check out http://www.atlantajcc.org/interior-pages/arts-and-culture-book-festival/ for more details. Mandel JCC in Beachwood, Ohio will be celebrating the 16th Annual Festival of Jewish Books & Authors from November 5-19, 2015. Stay tuned for details and a full listing of authors, which will be announced in the upcoming months. For information please contact Julie Frayman at jfrayman@mandeljcc.org or 216-831-0700 ext. 1316. Please check back at http://www.mandeljcc.org/book-festival/festival-of-jewish-books-authors/ for announcements. 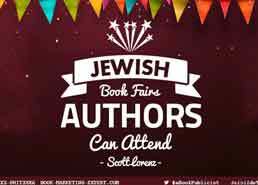 The Bottom Line: Reach out to the Jewish community and attend a Jewish book fair or festival.